Alpha is a straightforward, beautiful story of survival and friendship between a young hunter and a wolf. It'd be extremely predictable even if the marketing didn't give everything away, but there is just enough heart to go with the wonderful cinematography to make this worth a trip to the cinema. 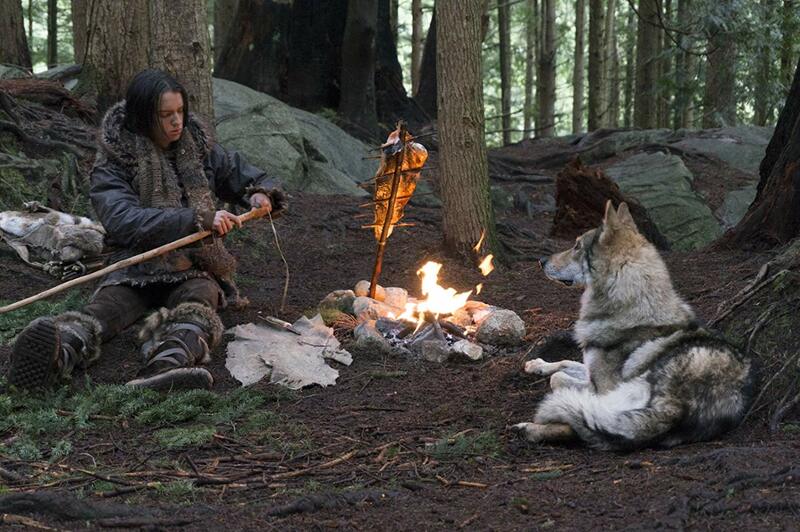 20,000 years ago, Keda (Kodi Smit-McPhee) is taken by his father Tau (Jóhannes Haukur Jóhannesson) on his first ever hunt. To make a long and slightly tedious first act short, it doesn't go well. Keda is left for dead by his tribe and must make his way back home on his own, with winter cold on his heels and a pack of wolves even closer. He manages to injure one of them, but doesn't have the heart to finish it off. Instead, he does what he can to nurse it back to health and the two slowly, but inevitably bond and help each other during the long and perilous journey home. It's a very familiar story, but it's done well here and even though you know exactly where it's going, you may just find yourself rooting for these plucky heroes. The best thing about Alpha is undoubtedly the breathtaking scenery. It more or less plays out like a prehistoric nature documentary and a really good one to boot. Glorious sunsets, sweeping landscapes, animals that are only ever so slightly noticeably CGI-ed. Obviously there are also real animals. Chuck the wolf (real name, that's not what Keda names him - although that would have been amazing) is the big star and he'll make you swoon pretty easily. Smit-McPhee gives a really impressive performance - a tough balancing act between Keda's vulnerability (both physical and emotional) and his determination and courage. There is a surprising amount of dialogue in Alpha. A lot of is in the first act, with the tribe folks talking amongst themselves or Tau giving his son advice - but even when it's just Keda and the wolf, we get snippets of dialogue or exposition. Considering how straightforward the narrative is and what an impressive job the movie does in terms of purely visual storytelling, it probably would have worked fine with no dialogue at all. Such a bold creative decision might have even worked a little bit better and helped Alpha stand out more. It's perplexing that Sony had such a difficult time marketing this. It's neither complicated or weird enough to be a tough sell. If you can skip the trailers before seeing this, I'd advise you to do so. 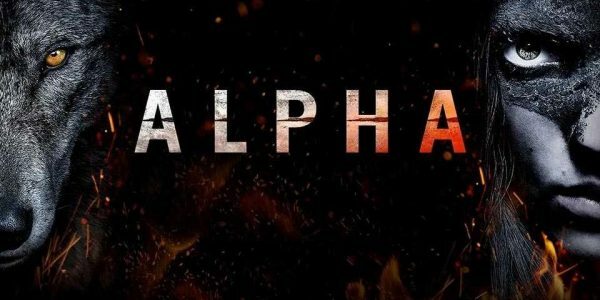 Alpha is the kind of movie that if it sounds like you'll like it, you probably will. It's not the type of experience that throws curve-balls at you. It's exactly what you'd expect, done really, really well. Also, the trailers straight up give away not only all of the main story and emotional beats (in pretty much chronological order, no less), but also the only thing that kind of, sort of passes for a twist. Basically, Alpha is like the comfort food of survival adventure stories, with enough of a kick to make a positive impression. Expect to get a few laughs, a few 'aww' moments and at least several truly amazing shots seared into your brain. My personal favourite is probably the frozen lake bit. A wonderfully minimalist use of symmetry. There's some blood and violence here and there, but if you come to this because you liked The Revenant, you'll be disappointed. Alpha is a family film. You can watch it with your kids and you definitely should watch it with your dog and/or pet wolf (if you have one).